Estimating story points can be a tedious process. So tedious in fact that some teams abandon doing story points to help predict their velocity. 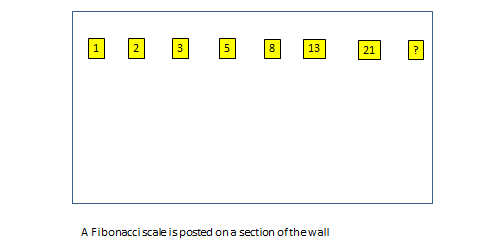 Instead of letting go of this valid way to predict upcoming work, how about finding a way to make the process of estimating points much faster? Not only faster, but FUN! 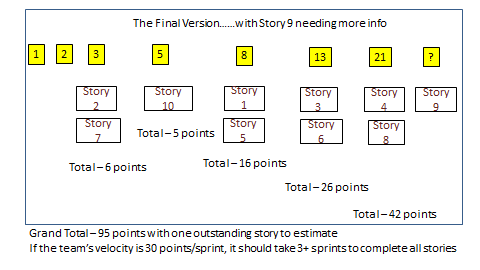 Yes, story point estimation and fun in the same paragraph! We faced a situation where we had to know if we could meet a hard launch date for a new site that involved completely new creative and a services-based architecture approach that affected the interactions with backend systems. Several Agile teams (internal and external) were part of the effort and we needed to know if we could make the launch. We had to determine if we could accomplish the remaining work in the time available – or if we would have to cut scope to get to the date. We pulled together the team as well as key managers (15 people in total) to figure out as quickly as possible if we could commit. We had groomed over 125 stories in advance and were able to estimate the story points in about 15 minutes. At the end of our session, we could definitely say that we needed to pare scope to make the launch – and the business could decide what to cut so the date could be preserved. 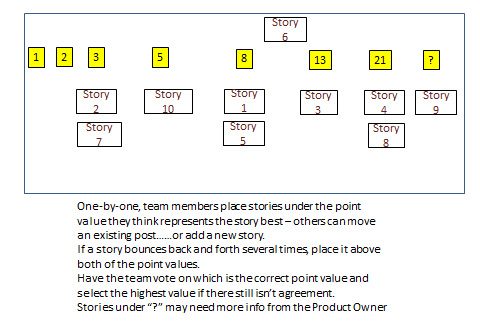 If you have a co-located team, here’s a way to estimate up to 100 stories quickly. This process has worked very successfully when a team needed to provide a reliable timeline for when story development and testing would be complete so a major project launch could be planned. And it can replace estimation methods like planning poker that can take a long time. 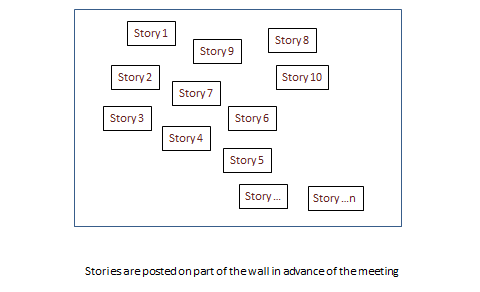 So don’t stop estimating story points because it takes too long – use a different way! The risks of this new approach are negligible as this is Agile and supports moving forward boldly and with urgency to deliver working software. Give it a try! If you don’t currently have a groomed backlog, consider making up an example so teams can see how it’ll work. For example, if you have a project called “Make Pancakes” stories could be created for “Define what kind of pancakes”, “Create shopping list so I don’t miss anything”, “Go to the store so I have all the items needed”, “Assemble ingredients to verify I’m ready”, “Cook”, “Serve”, etc. These are stories that would be readily understood. So long as you have enough for the team to run through it can demonstrate this process well. Mary Ann Michaels has many years of project leadership for large-scale retail systems implementations. She is a big fan of Agile and how the methodology allows teams to quickly deliver working software – and uses tools learned on-the-job as well as through her MBA and various training courses.She has worked for large companies including Walmart.com, Levi Strauss & Co, Williams Sonoma, and Coldwater Creek. And she has both technical and business expertise having managed application development and support teams as well as a distribution center. She holds a BA in Math/French from Michigan State University and an MBA from Pepperdine.